…19…18…17… Today the clock is literally ticking, counting down the days between March 14th and April 3rd, the last day you can enter the “Take Your Best Shot” photo contest. 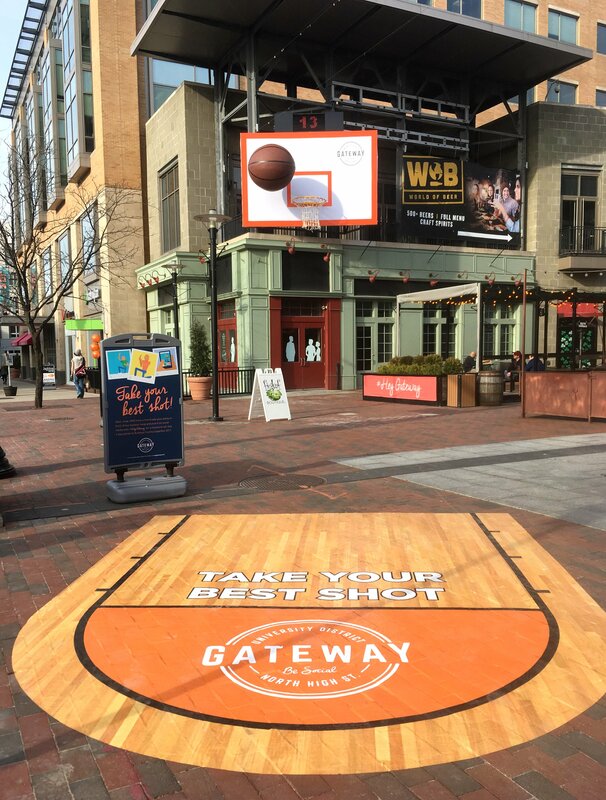 After the ambient media campaign’s success last year, The South Campus Gateway reinstated their 150 sq ft branded basketball backboard on N High Street for March Madness 2017. 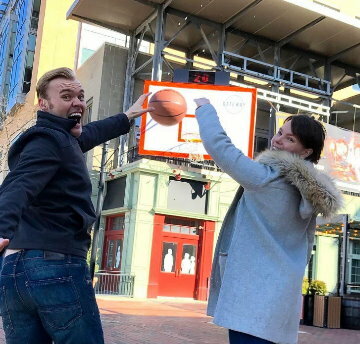 The popular forced-perspective photo prop is intended to give the illusion of pedestrians dunking hoops, and pictures posted to any social media with the hashtag #HeyGateway are entered to win a pair of two-day tickets to the Buckeye Country Superfest to catch the likes of Keith Urban and Kenny Chesney in concert. Creativity counts though, so make it fun and convincing! But really, this year, the clock is ticking in more ways than one. This year the backboard has been upgraded to include a working LED shot clock! 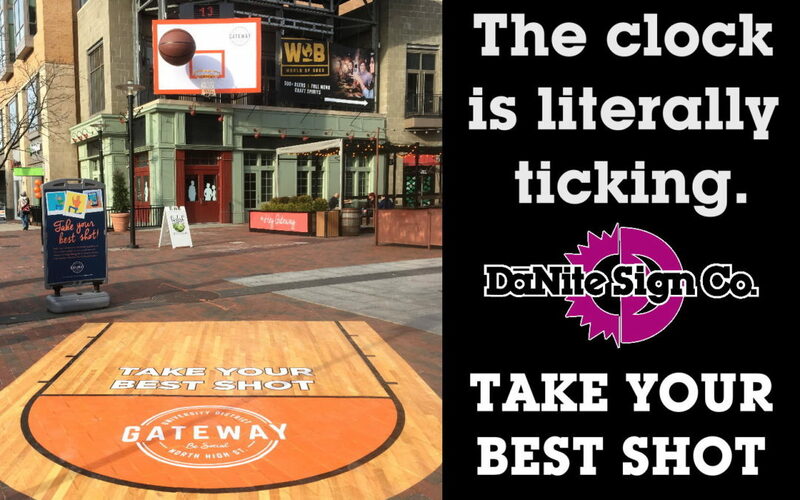 After managing this exciting and challenging sign project last year (see “Not Your Average Slam Dunk”), DāNite Sign Company’s Michael Cox, Sr. wanted to add a new and exciting element to the backboard that had been kept in storage since 2016. To be more accurate, the fabric backdrop, hoop, net, and giant styrofoam basket ball were safely kept at a UHAUL self storage space, but the backboard frame was too big to fit inside the storage space and had to sit behind DāNite’s manufacturing facility. This year, when the “sign” was re-installed, an LED shot clock was added above the 15′ x 10′ backboard in order to suggest the urgency of a real shot clock. Cox programmed the LED message center to continuously cycle backwards from thirty to zero in red LED numerals. For some holiday flair, and likely as a subtle nod to his own Irish roots, Cox programmed the numerals to count down in green all day on St Patrick’s Day. 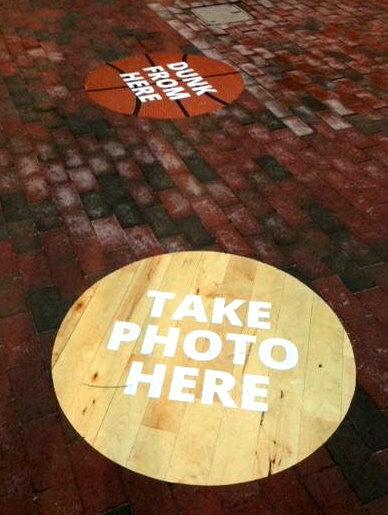 Also new to the 2017 iteration is a wooden gym floor free throw lane, printed on textured vinyl and heat applied directly to the paving bricks on the sidewalk. 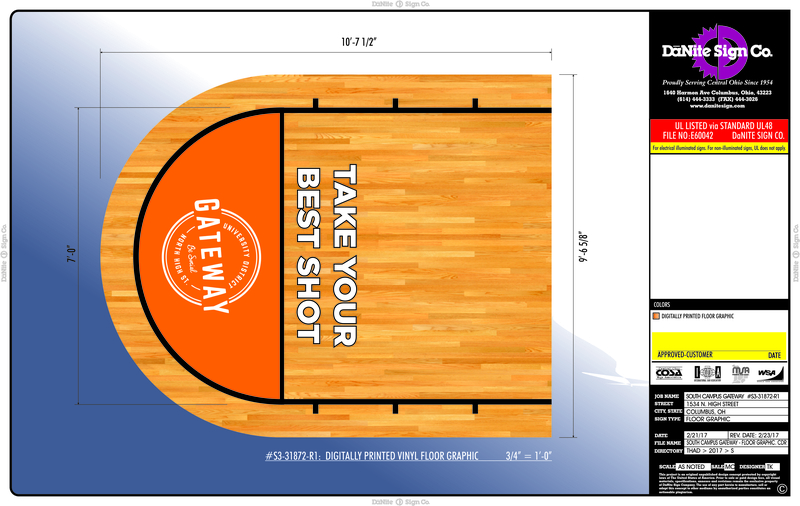 This upgrade from last year’s “spots” was pieced together by designer Thad King by tiling high resolution images of wood flooring and then adding the black lines, “Take Your Best Shot” contest name, and Gateway logo in Corel Draw. 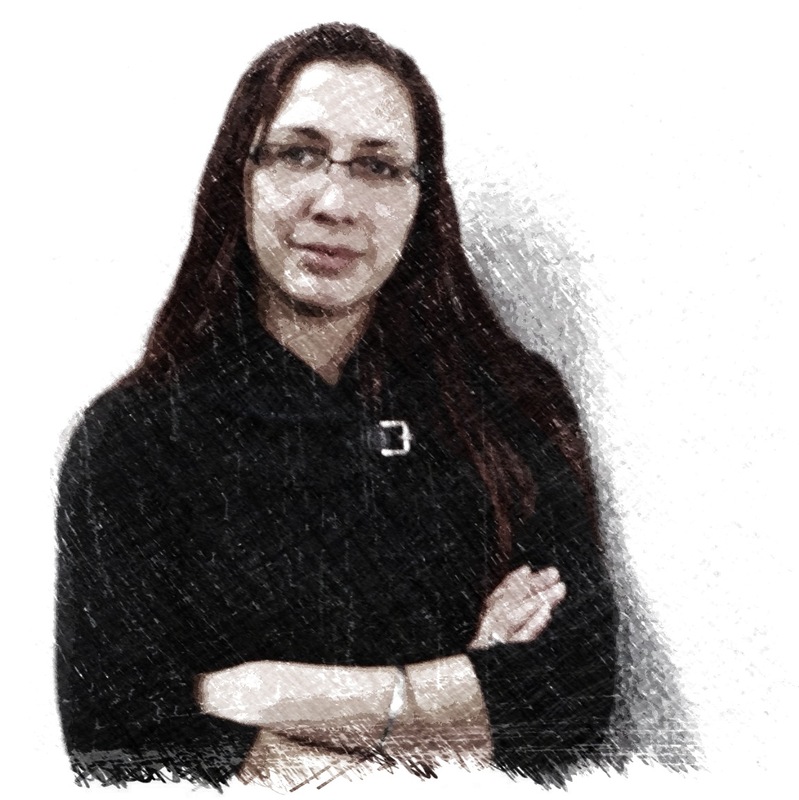 Altogether the effect is a marked improvement on what has already proven to be a good thing. 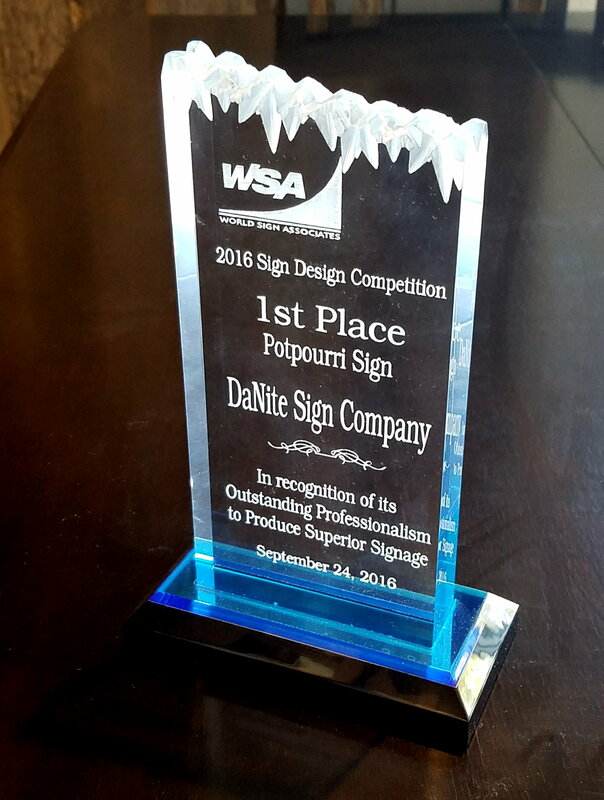 In October of 2016, Michael Cox brought home a First Place award for the backboard from the World Sign Associates member-voted “Coolness Contest”, a friendly competition among sign companies to encourage creativity. On Friday, March 10th, FOX 28 Good Day Marketplace’s Cameron Fontana interviewed Kate Schroeder, Marketing Coordinator for The Gateway. 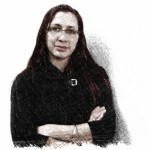 In the video clip they demonstrate how to set up a shot. Watch the clip, and then head down to OSU’s South Campus Gateway at 1556 N High Street to try it for yourself. 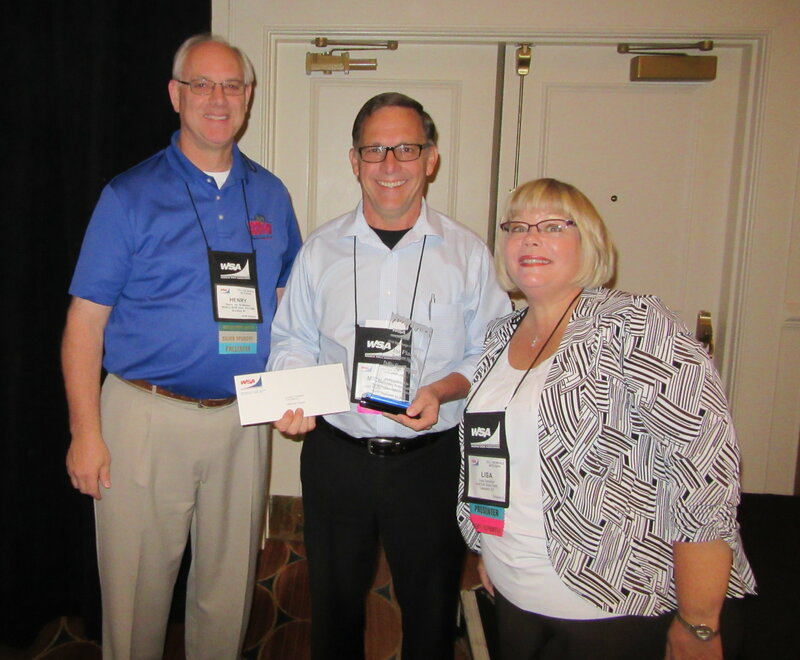 If your basket-stuffing pics are creative or convincing enough, you may just end up being the lucky contest winner!